I have to admit that I don't get to read as many blog posts that I would like. I am scattered as I follow people here and there to see what they are posting, and there just isn't enough time in the day. I might not read a blog on a consistent basis, but I know when I am looking for a certain tool or reference or idea I know who might have the answer. 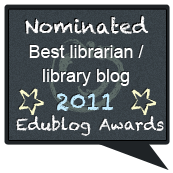 The following are my nominations for the 2011 Edublog Awards. Best individual tweeter: At BLC (Alan November's institute) that I attended this past summer, I met some super star librarians. Shannon Miller was one of those stars. She has accomplished so many connections using twitter. I am in awe of her use of the media: @shannonmmiller. Best ed tech / resource sharing blog: I met Lisa Nielsen, The Innovative Educator, at BLC. She was a former librarian now in the educational technology department for NYC. She has some great ideas of how to utilize technology as a teaching tool and is all about sharing. Find her blog here: http://theinnovativeeducator.blogspot.com/. 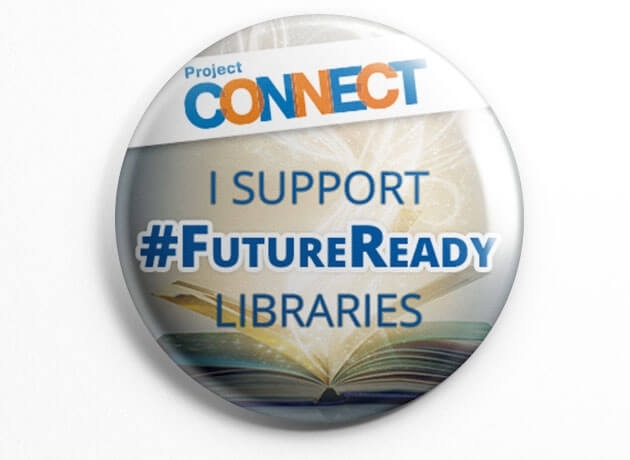 Best twitter hashtag: I am a librarian, so #tlchat works best for me. Best teacher blog: Tinashe Blanchet and I have been trading tech tools and tips for years now. She has been developing her blog over the years. It is awesome: http://blanchetblog.net/. 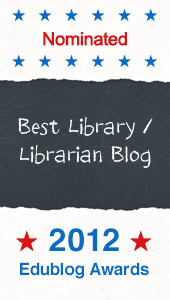 Best librarian / library blog: There are several that I like; I can't choose just one. Best free web tool: I have become a real fan of this tool: shoutomatic.com. I create shouts, and the students love being able to shout back at a teacher. They have told me some great things through this tool. 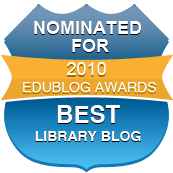 Best educational wiki: Gwyneth Jones is an amazing librarian who has created this wiki as a one stop shop for her library: http://thedaringlibrarian.wikispaces.com/. I love all the illustrations. 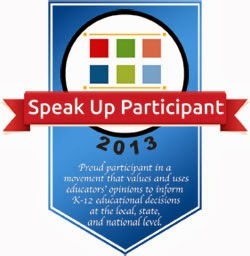 Best open PD / unconference / webinar series: I have attended several webinars presented by Michelle Luhtala on Edweb.net. I even got to meet her at two conferences that I attended. She hosts the series: Emerging Tech: Using Technology to Advance Your School Library Program. She has so many good ideas and is great at sharing. 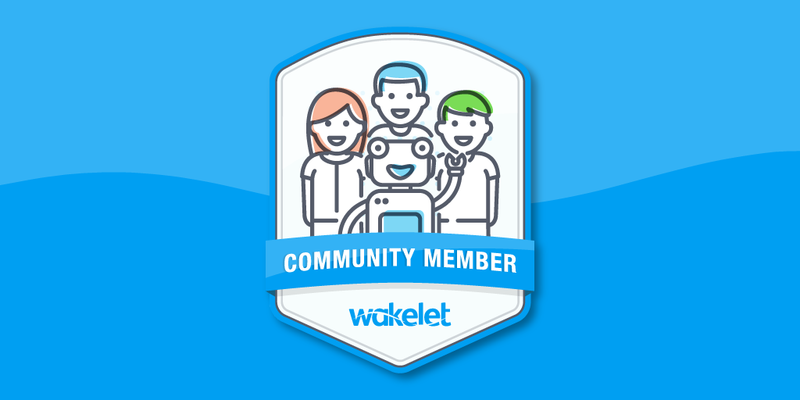 I'm very flattered to have been nominated by you! WOW! Gobsmacked & honored! Cheers dear! I wish that I had the creative energy that you have, but I do my best.